Ramona (Mona) G. Jimenez, was called home to our Lord on November 2nd, 2018. Born on October 25, 1947 to Macario Gonzales and Adela Garza Garcia in Mission, Texas. 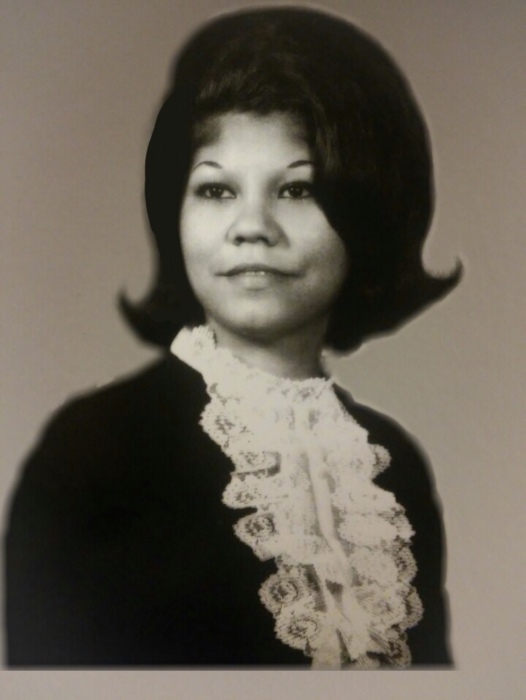 She married Phillip Jimenez Jr. in May of 1968 and raised two loving children together. She was totally dedicated to her children and grandchildren and was completely devoted to them. She is survived by her children, Renee Jimenez Ruiz and her husband Homero V. Ruiz of Dallas, her son Ben Frank Jimenez of Longview and two grandchildren Chyna and Christian Ruiz of Dallas. Graveside services for Ramona G. Jimenez, of Longview will be 10 a.m. Tuesday, November 6, 2018, at Grace Hill Cemetery in Longview. Visitation will be Monday November 5th, from 2-5 p.m. at East Texas Funeral Home 6522 McCann Rd. You may sign the online guestbook to leave condolences and remembrances.